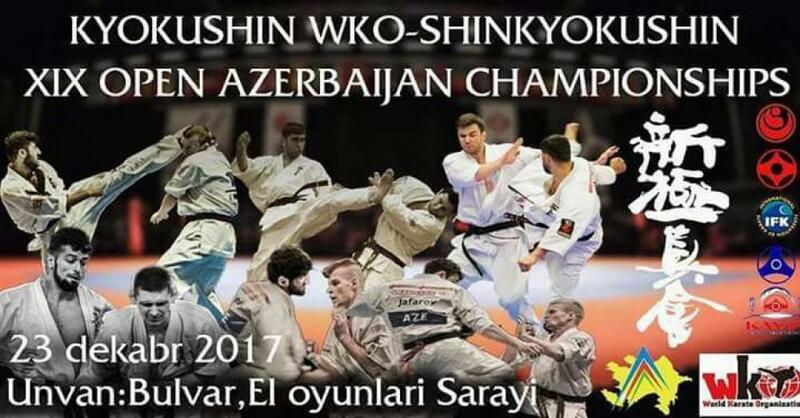 The 19th Azerbaijan Open Kyokushin Karate Championship will be held in Baku. The championship will take place at Baku Sports Palace on December 23. The event is co-organized by the Ministry of Youth and Sport, the Council of Martyrs and Azerbaijani Kyokshin Karate Federation. About 250 athletes will compete at the tournament, which is aimed at to form karate team for 2018. Azerbaijan Kyokushin Karate Federation was established on July 7, 1994. The main goal of the federation is to promote Kyokushin Karate together with an infrastructure of established independent clubs and centers which develop and spread this sport, and unite them on a voluntary basis for the purpose of further development. Kyokushin is a style of stand-up, full contact karate, founded in 1964 by Korean-Japanese Masutatsu Oyama. This style of karate allows full contact sparring (kumite) and does not use any protective gear, except for a mouth guard and groin protection.